Pumpkin seeds, Pepitas in Spanish, are one of the things I used to stuff in my suitcase when visiting Mexico. That’s because they have a mellow, somewhat nutty, almost sweet, barely chewy and nutritious nature. 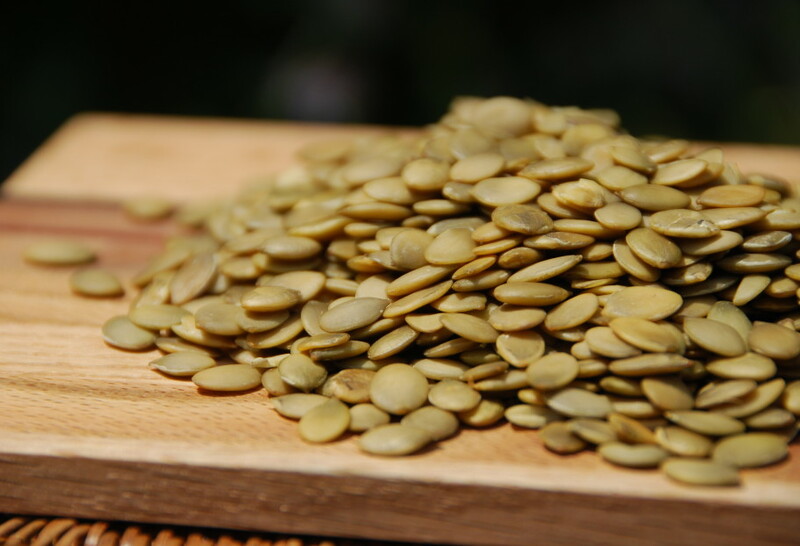 They are also one of the most nutritious seeds (they are full of fiber, vitamins, minerals and antioxidants). Pepitas are the seeds of different kinds of pumpkins! They can be seen all over Mexico from stands on the street to bags in the stores. They have been a part of Mexican cooking as long as…well…Mexican cooking and just as well as pumpkins, have been used in a myriad of ways over thousands of years. Pumpkin seeds were prized by both the Aztecs and Mayans and it is said that the Mayans were the ones who began grinding them to make bases for sauces. In fact, the Yucatan Peninsula, home of the Mayas, has amongst its basic seasoning pastes (one being the famous achiote paste ) a lightly colored pumpkin seed paste that can already be bought in the markets. Pumpkin seeds in Mexico are eaten unhulled or hulled, raw, toasted, salted, fried and spiced up as snacks. They are also used to make salsas, moles, soups and drinks. They are delightful sprinkled as a topping on many dishes as they add a subtle flavor and an extra healthy crunch. Happily, I see them appear more and more in grocery stores here in the US. What I forgot to mention is: the pumpkin seeds are generally great to eat without shelling, but that does require some self-restraint, because if one eats too many, there will be ‘regrets’ in the too-much-fiber category. They can also be chopped up in a food processor/blender/’bullet’ appliance, and added to cookies and breads, if unsalted. Hi Deejay, Thank you for sharing!! I am looking for a place to buy pepita seeds to plant and grow my own. Would you know of any place where I could buy some? Hi Pete, Thank you for your question! Maybe try your local garden store or plant nursery. I’m looking to buy roasted pepitas (no salt) wholesale in bulk from Mexico do you have any leads. Makes me hungry for papadzul.